Fantastic! Great views, wonderful fireplace, cozy and comfy. Can't wait to come back. 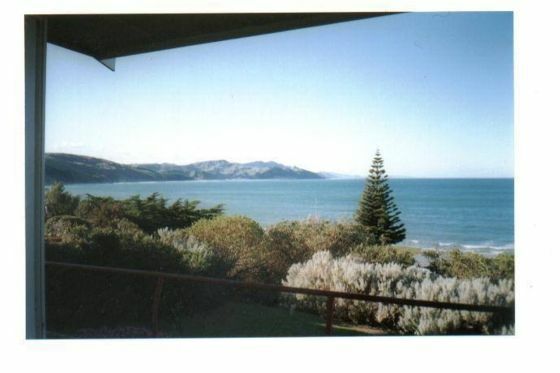 Sea Chalet is a classic Kiwi bach with million dollar views. The pics on this listing don't do it justice... I'm talking awesome. Simply furnished with everything you need. All the appliances worked fine and are in excellent condition, fridge, stove, and microwave all seemed pretty new. There's ample supply of glasses, dishware, pots and pans, cooking was fun and easy in the compact kitchen. Comfy beds, cute dining nook, lots of space, unbeatable views and all within walking distance of the lighthouse and the amazing walks in the general vicinity. The home was easy to find, cleaned well, and we all felt comfortable immediately. Communication with the owner was easy, prompt and easy to understand. We look forward to returning in the near future. Thanks so much for accepting our last minute reservation!